Exhaustively researched and beautifully written, this it he story of revolutionary Trenton, New Jersey both a critical supply post and a crucial junction halfway between loyalist New York, and patriot Philadelphia. Trenton between 1774 and 1783 is a microcosm of the challenges faced by ordinary Americans during the revolution, struggles intensified by Trenton’s geographic location in the state which saw more military activity than others and on a road constantly user to move and supply armies. Life in Trenton connected to just about every aspect of the revolution. The story of the people who lived in Trenton, or who spent time there because of the revolution, helps us better understand the hitherto untold importance of their town beyond the one well known day of battle. 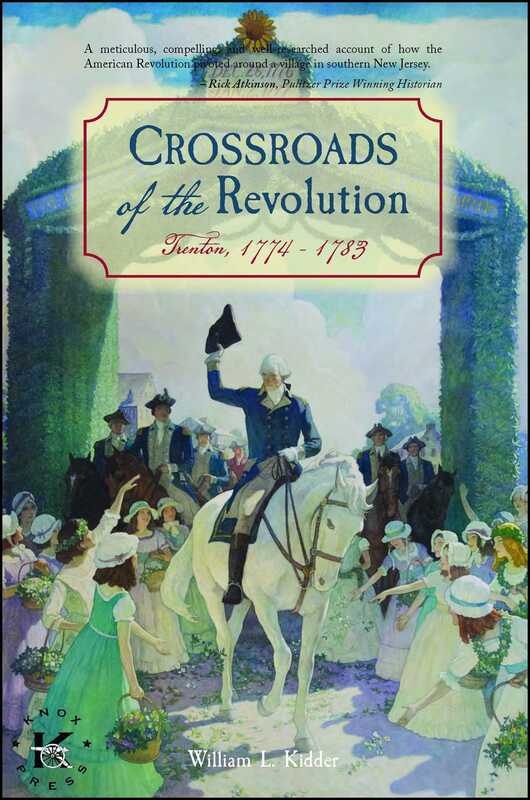 William L. Kidder’s Crossroads of the Revolution: Trenton, 1774-1783is a gem. In this engaging and well-researched narrative, Kidder shines a light on Trenton, its people, and the events that centered on that town. Most Americans know Trenton as the location of George Washington’s post-Christmas victory over a Hessian brigade in 1776. Trenton was, however, much more than that. It was an active and lively town at the center of the American Revolution in New Jersey. Through his lively writing bolstered by assiduous research, Kidder tells the stories of Whigs, Loyalists, slaves, Britons, Hessians, and others who helped make Trenton a crossroads of the American Revolution. Readers will not be disappointed. - Ricardo A. Herrera is Associate Professor of Military History, US Army School of Advanced Military Studies and the author ofFor Liberty and the Republic: The American Citizen as Soldier, 1775-1861.